It doesn’t matter who you are or where you live, Mather LifeWays wants to make your journey of aging a better one. That’s why we focus on creating Ways to Age Well.SM From our unique senior living residences to inspiring community-based programs to a wealth of online resources for older adults, we’re making everyday experiences extraordinary ones. These are friendly neighborhood places for the community to eat well, learn well, and Age Well. Find ways to connect, have fun, and try new things. Each senior living residence is a place to explore your passions and look forward to looking forward. Mather LifeWays Institute on Aging conducts and shares applied research for those who serve older adults. At Mather LifeWays, we believe in creating unique opportunities and exciting possibilities—both for the older adults we serve and the professionals we employ. Mather LifeWays was named a top place to work by the Chicago Tribune four years in a row. Find out how to attract and serve older adults in your community. Mather Possibilities provides financial support for initiatives that would not otherwise be possible. Mather LifeWays created Ways to #AgeWell to provide research-based tips that can help people of all ages Age Well. From simple habits that boost brain health to easy steps toward building resilience and happiness, each small tidbit can make a big difference in your life. 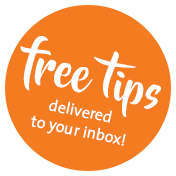 Sign up to receive tips by email, or follow us on Facebook or Twitter.